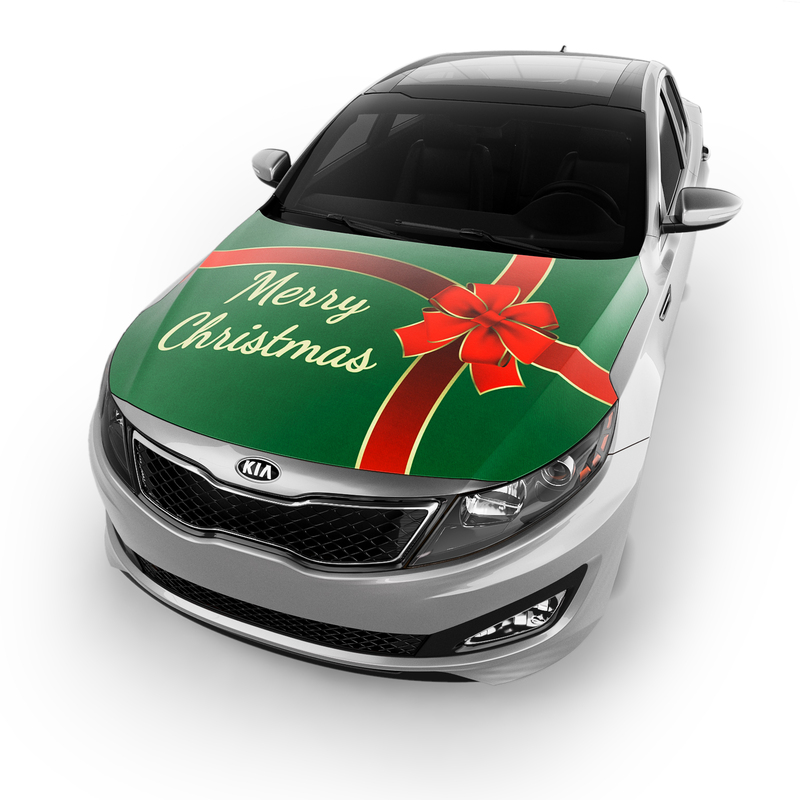 Our Merry Christmas Hood Cover features a vibrant green background with red ribbon with a bow creating a gift-wrap motif. Bold white text reading, "Merry Christmas" completes the design. This design is a great way to promote the Christmas Spirit. 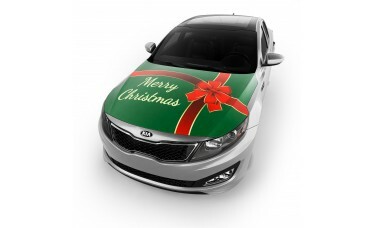 They can be used by individuals or car dealerships looking to decorate one or more cars for the Christmas season.